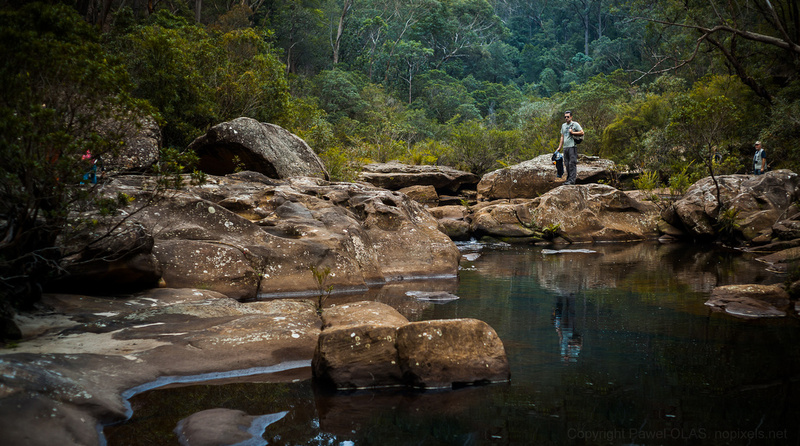 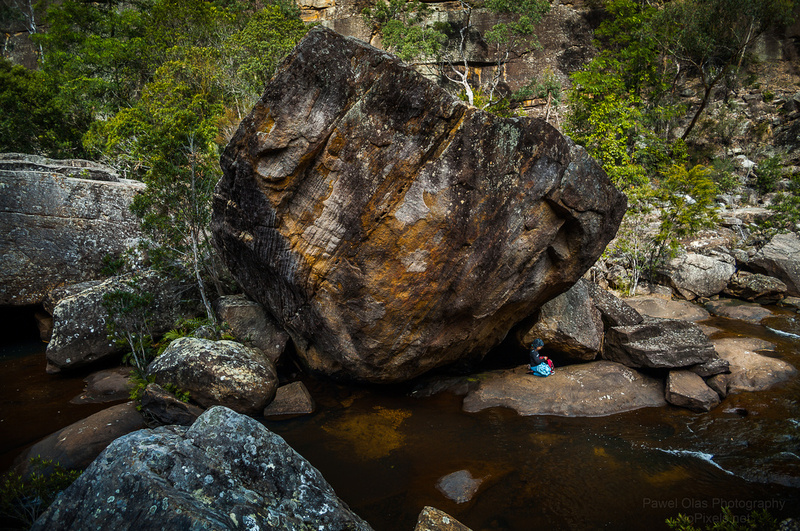 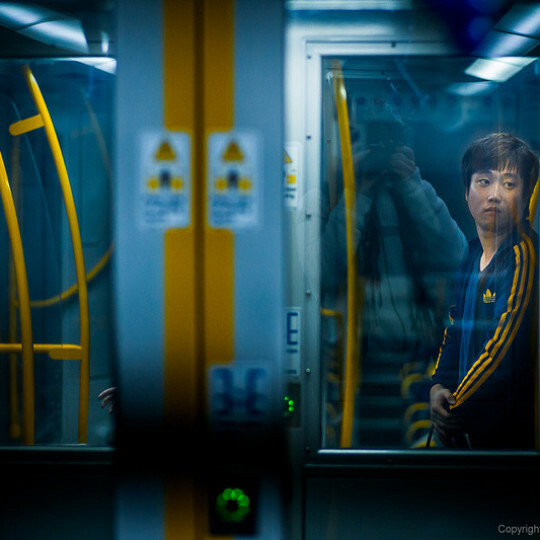 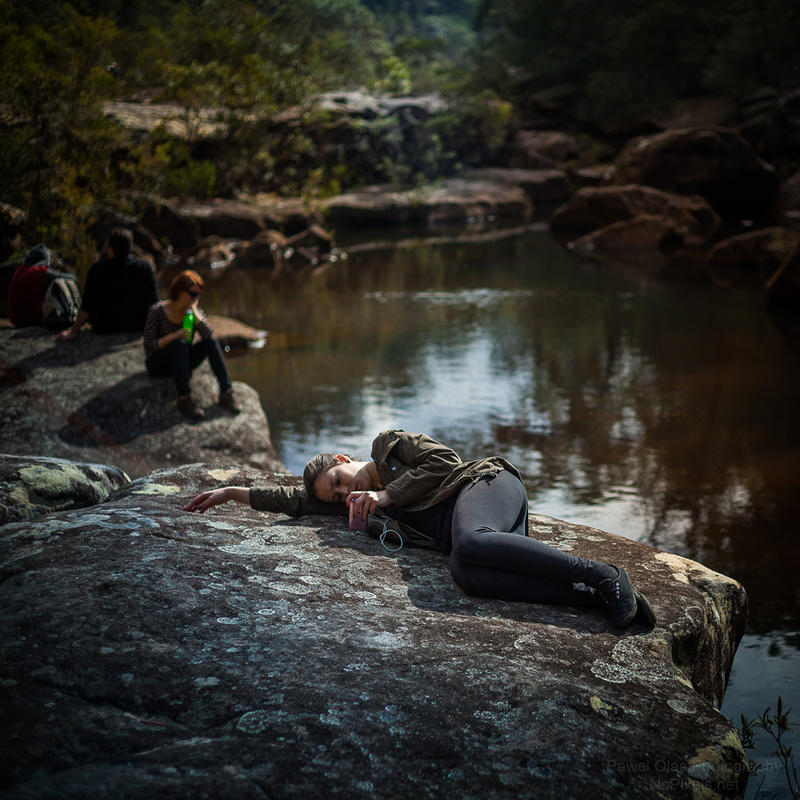 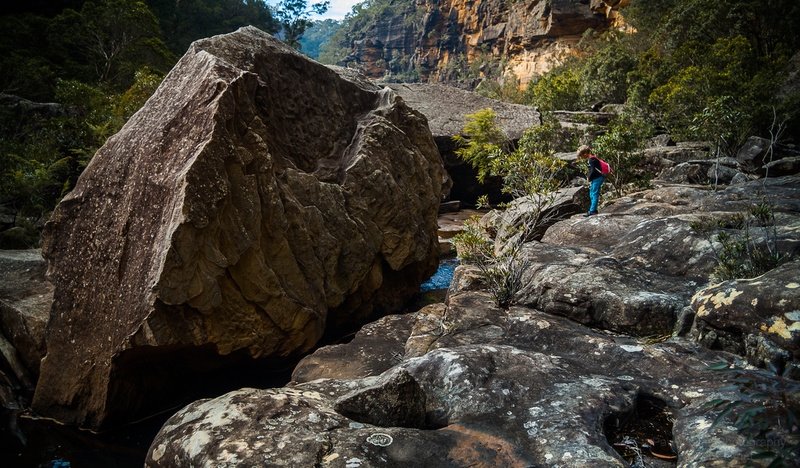 Glenbrook gorge is one of my favourite destinations near Sydney and for us it is only 25 minutes drive. 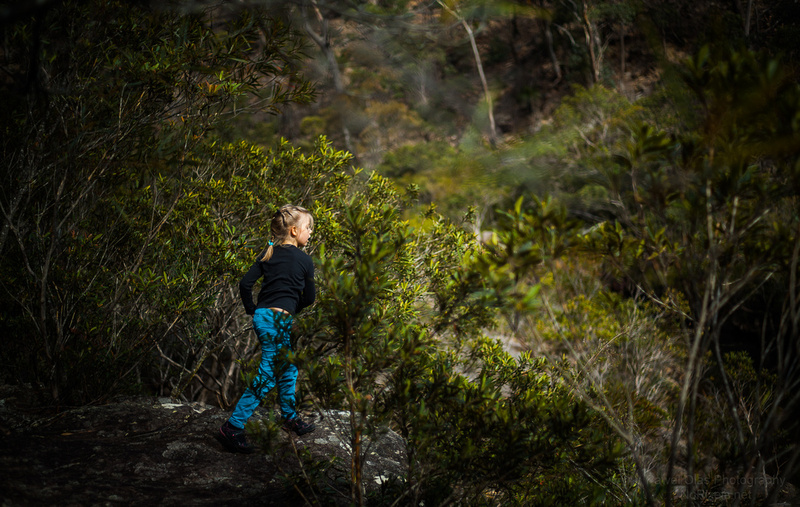 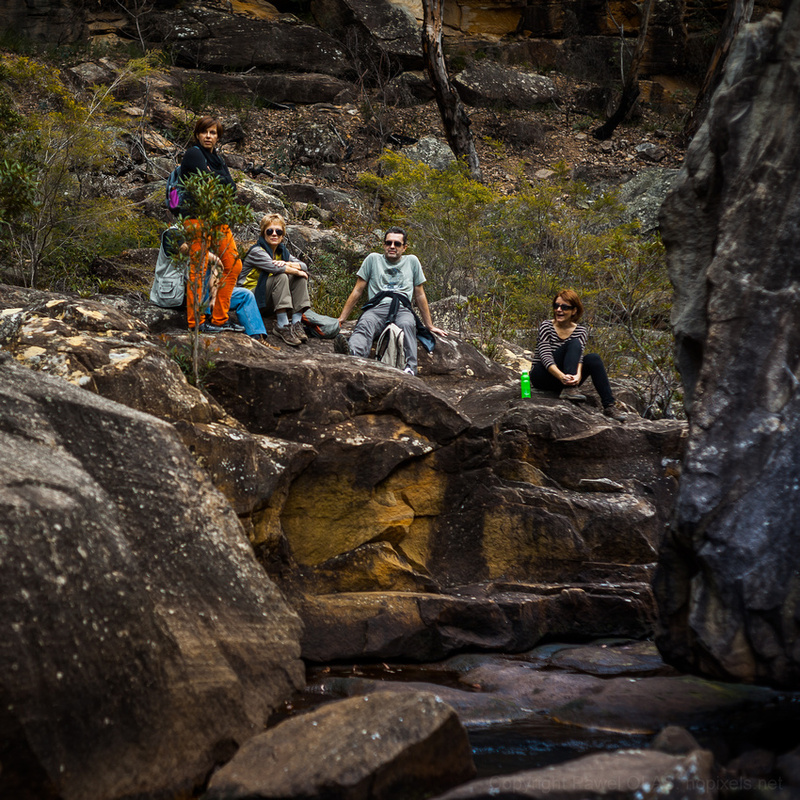 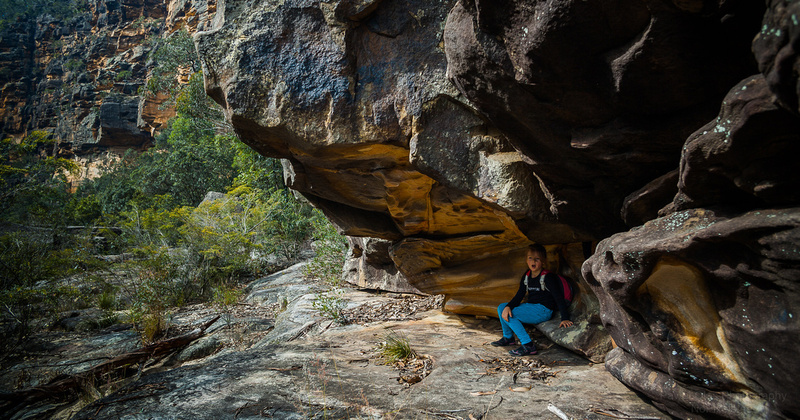 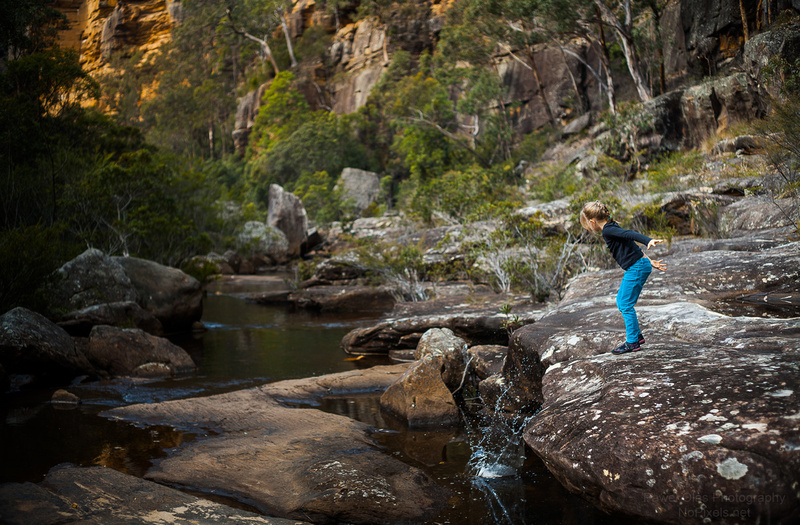 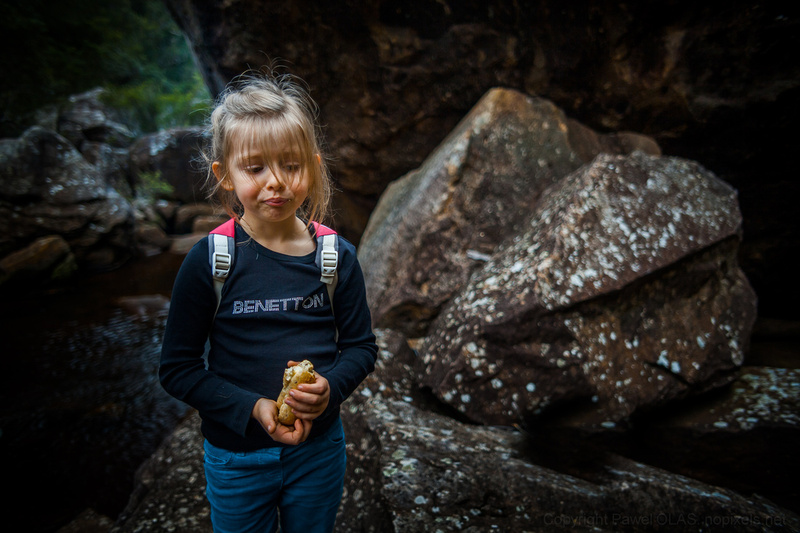 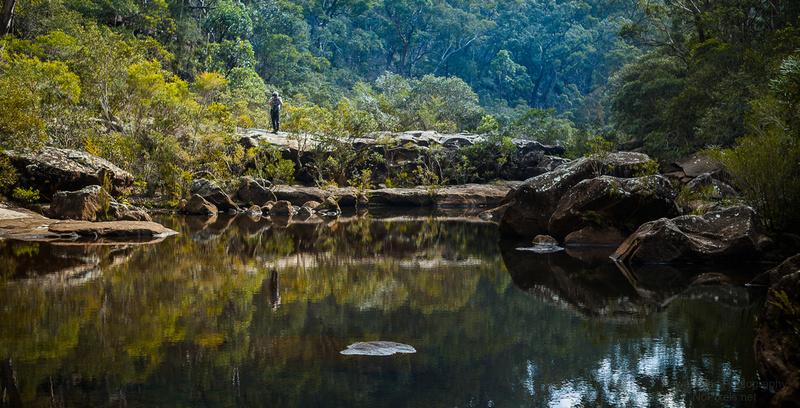 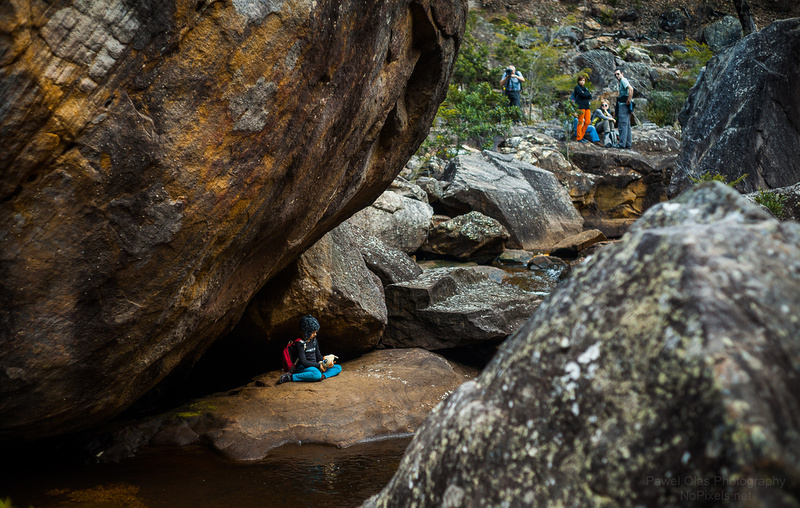 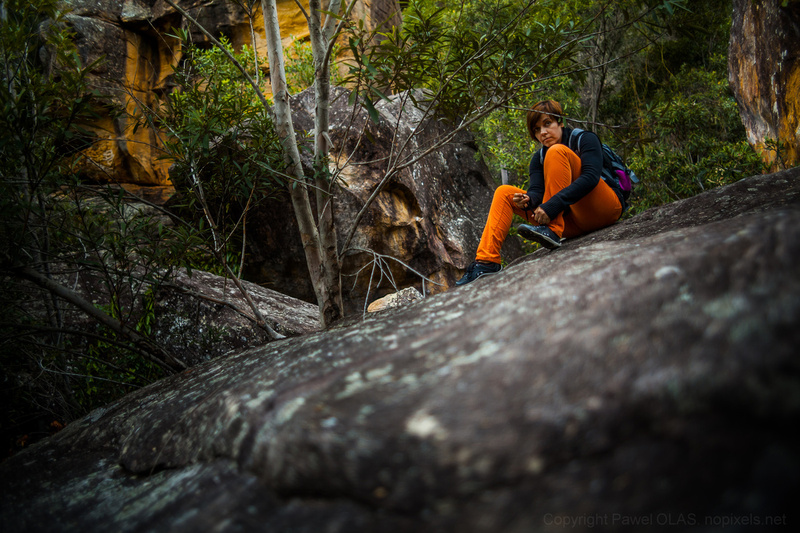 An easy walk through a gorge that features everything that makes Australian bush so special. 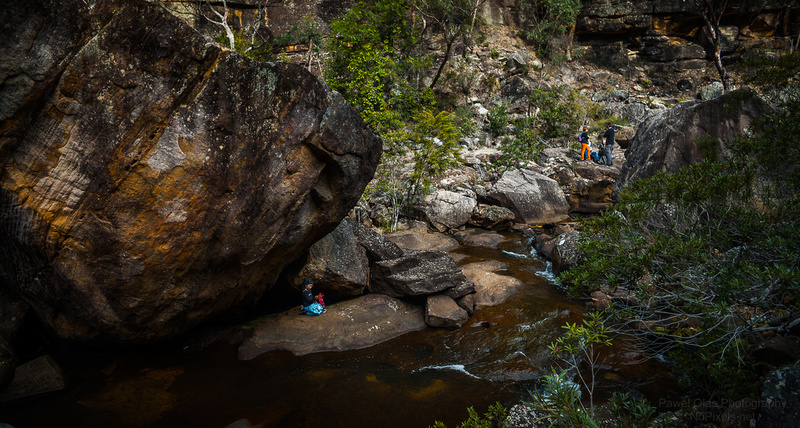 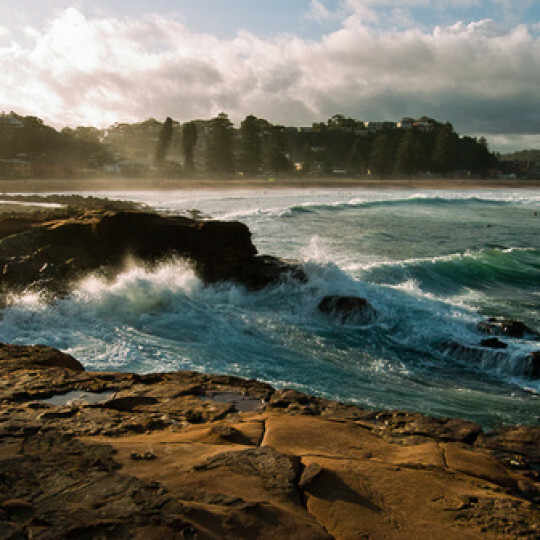 You are surrounded by spectacular orange cliffs while navigating through a rubble of massive sandstone boulders. 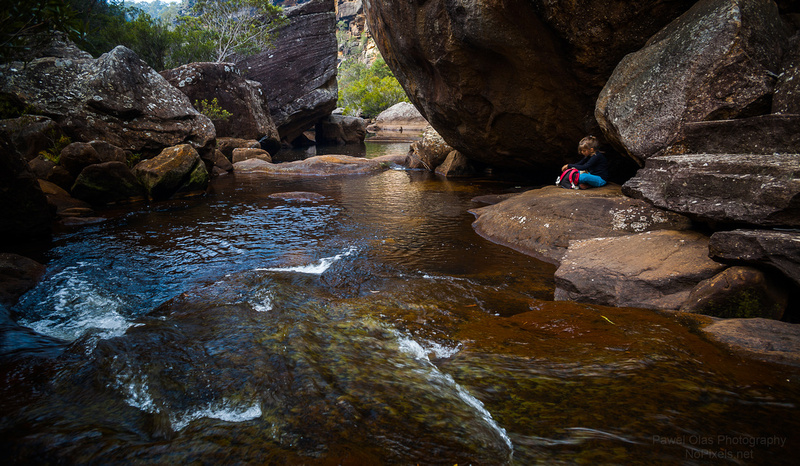 In many places the river bed is beautifully sculptured by moving water. 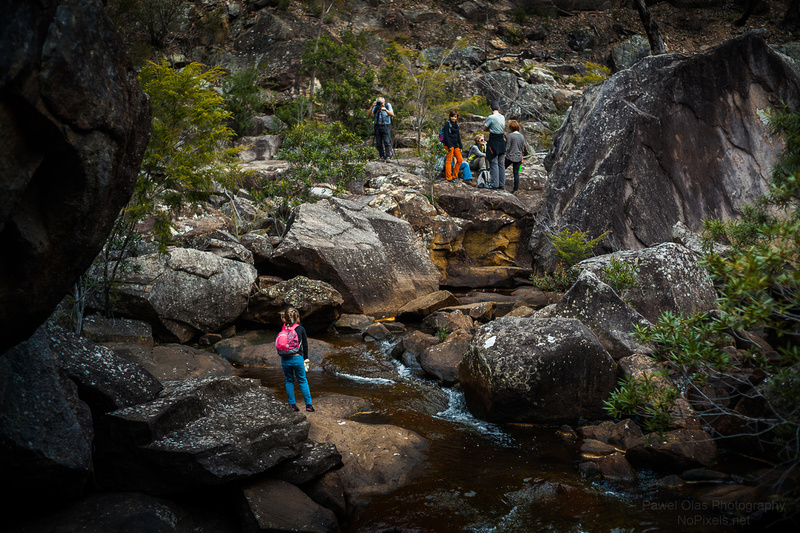 The walk gets more and more difficult while you progress through the valley. 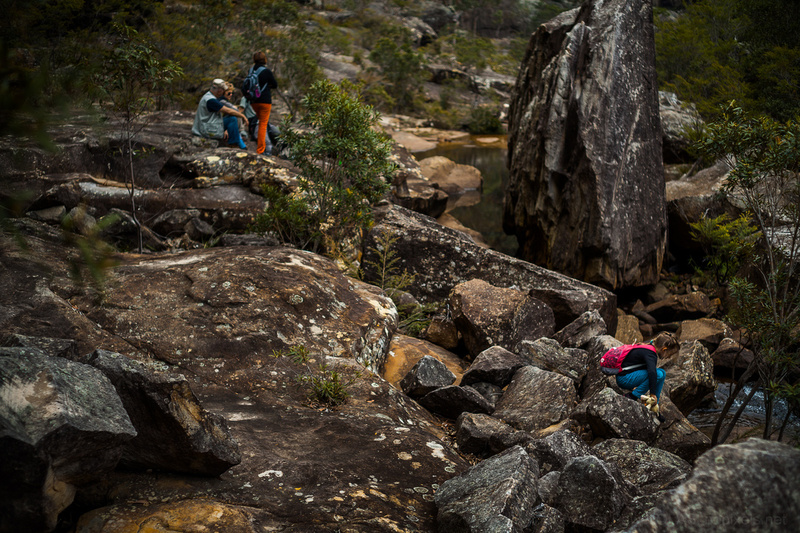 If you do not feel like rock hopping or squeezing through gaps between boulders you can turn back any time and head back to multiple picknick spots. 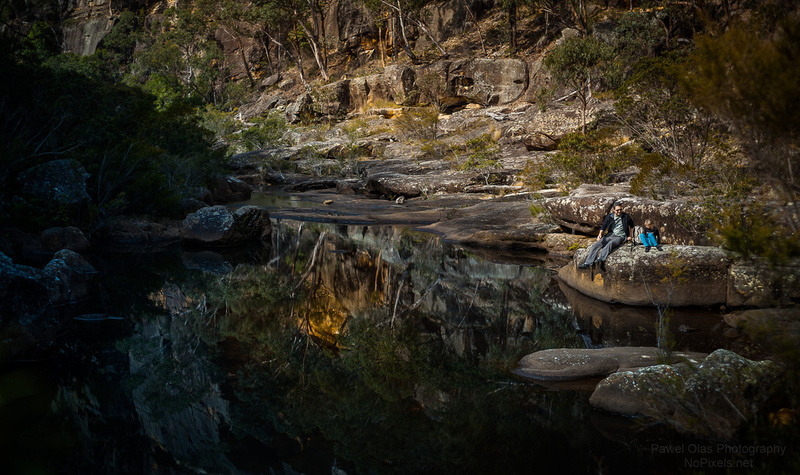 But if you are persistent enough you can reach the end of the gorge where it meets Napean river. 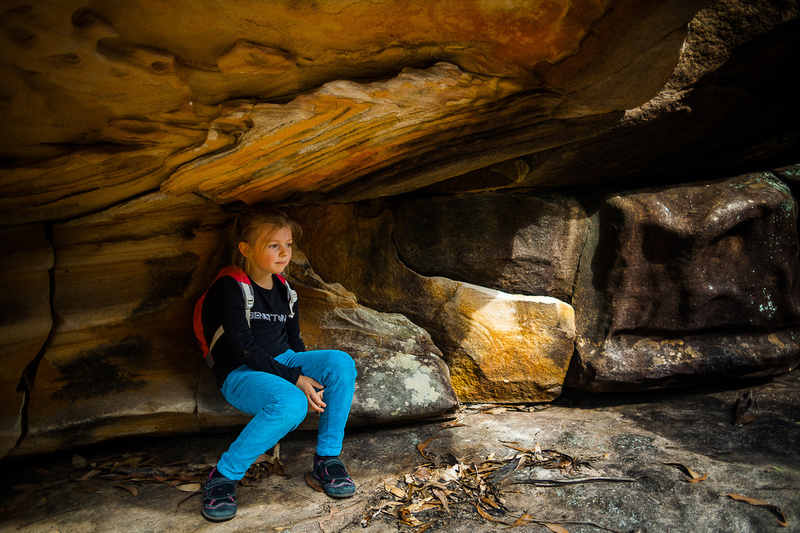 When my daughter saw herself on the photo below she asked “why wasn’t I scared there” :-).